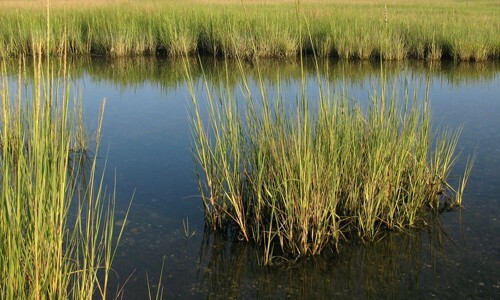 Wetlands are transitional areas between land and water. 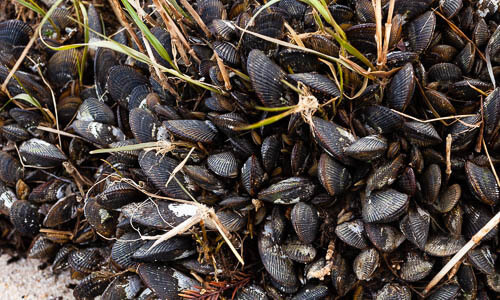 Thousands of species like worms, insects, and tiny crustaceans thrive in wetlands, in turn serving as food for larger fish, birds and mammals. 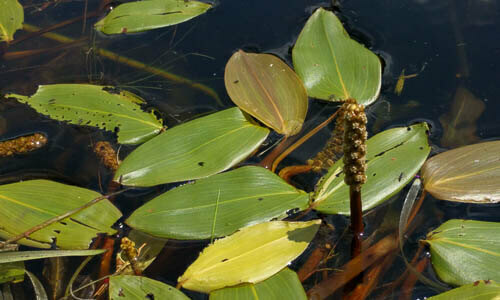 Also known as longleaf pondweed, American pondweed is a rooted, perennial herb that has both submerged and floating leaves. 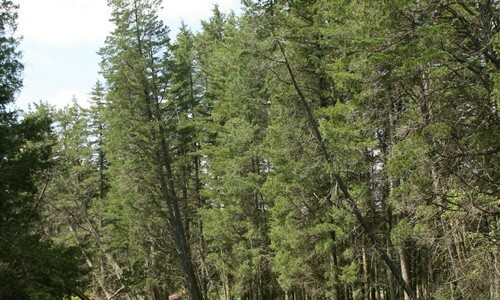 The Atlantic white cedar is a tall evergreen tree with scaly, fan-shaped foliage and a cone-like shape. 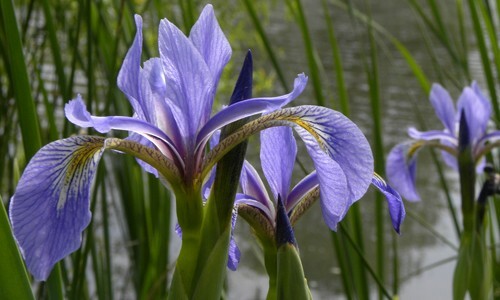 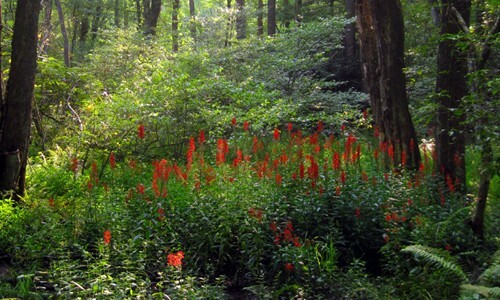 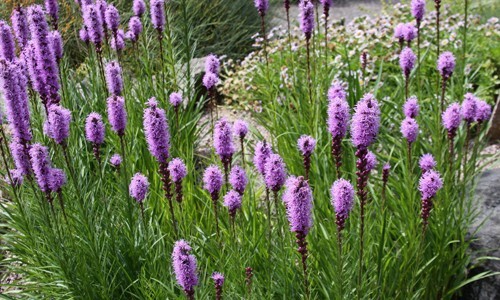 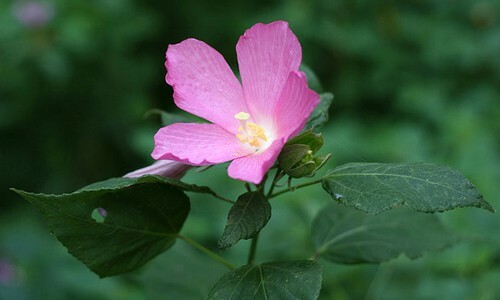 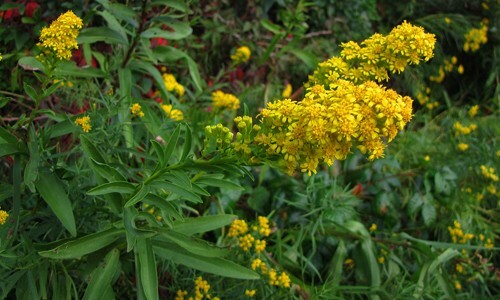 It grows in swamps, marshes and other wet areas near the coast in Delaware, Maryland and Virginia. 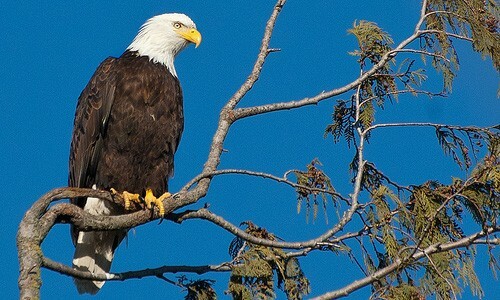 The bald eagle is a large raptor with a yellow, hook-shaped bill and a white head and tail. 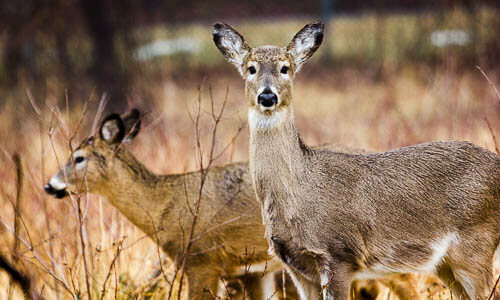 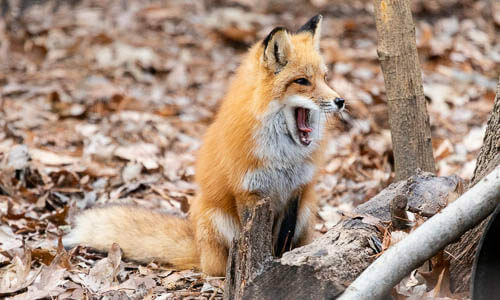 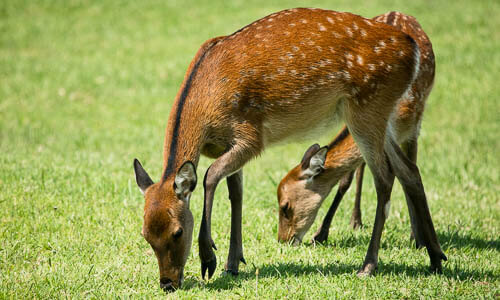 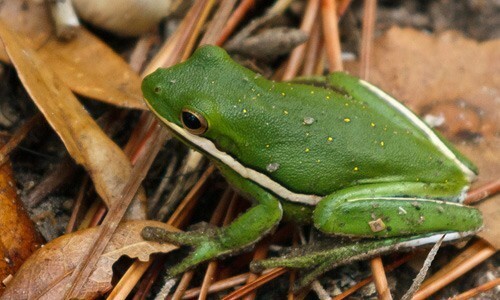 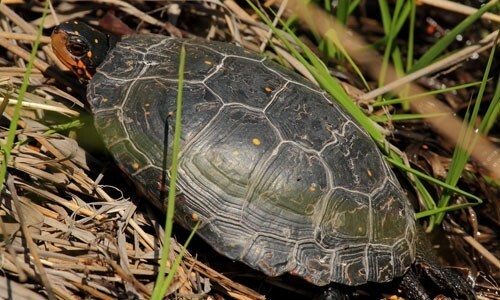 It lives in forested, sparsely developed areas near rivers, wetlands and other waterways throughout the Chesapeake Bay watershed. 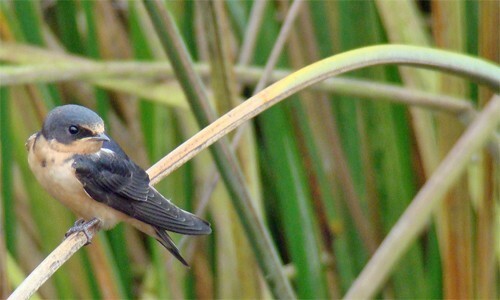 The barn swallow is a small, agile bird that visits open waters, wetlands and farm fields throughout the Chesapeake Bay region from spring through autumn. 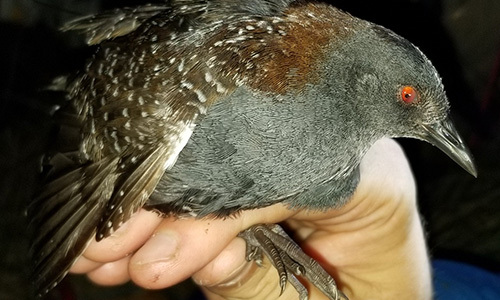 The eastern black rail is a small, secretive marsh bird. 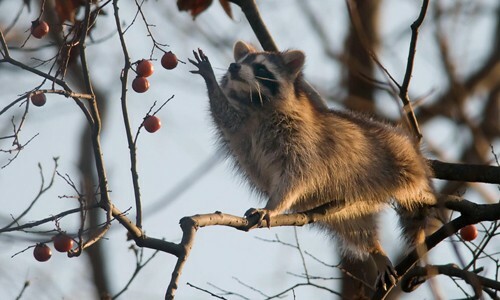 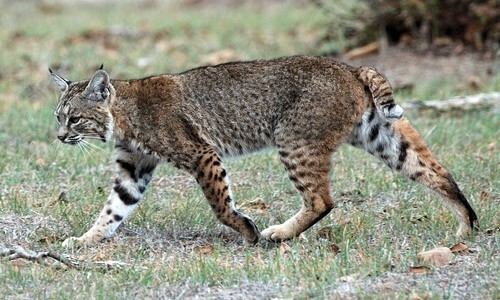 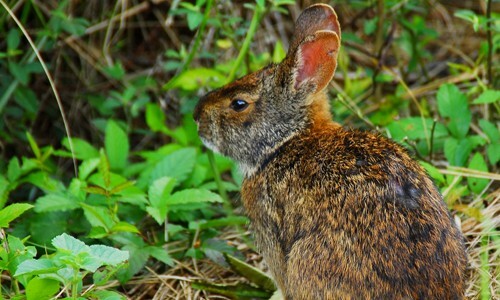 It is approximately the size of a sparrow with black, white-spotted feathers and red eyes. 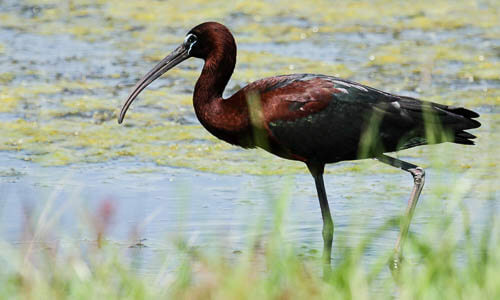 The glossy ibis is a heron-like wading bird with dark green and purple plumage. 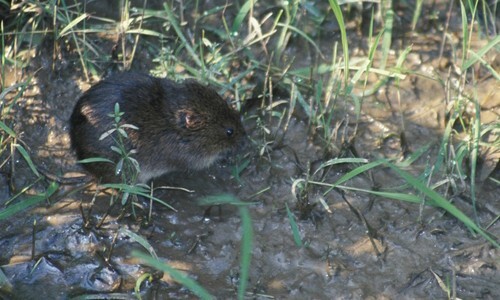 It visits Chesapeake Bay marshes and wetlands from spring through autumn. 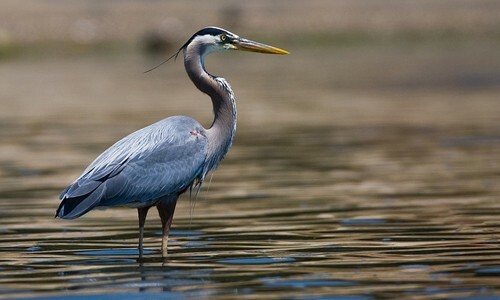 The great blue heron is a tall, bluish-gray wading bird with a long, pointed bill and a graceful, S-shaped neck. 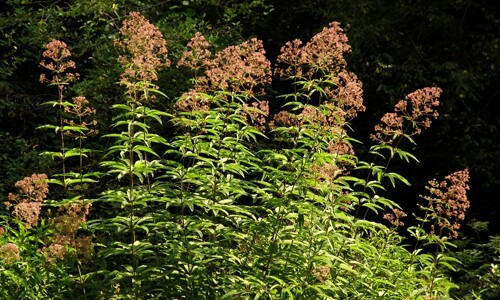 It lives year-round in marshes and wetlands throughout the Chesapeake Bay region. 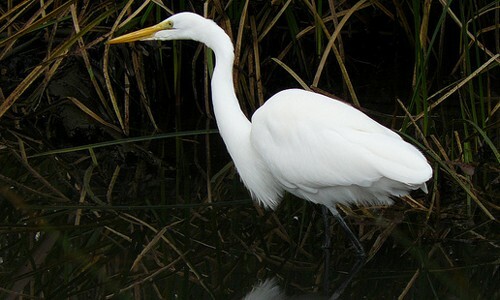 The great egret is a large, white wading bird with long, lacy plumes on the back. 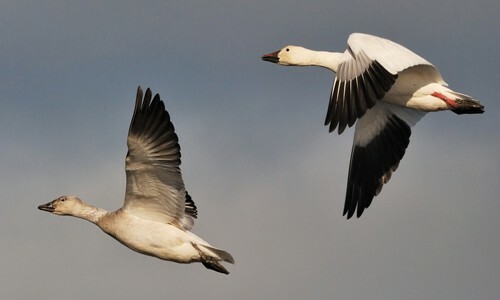 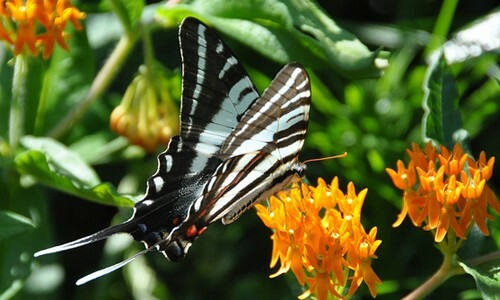 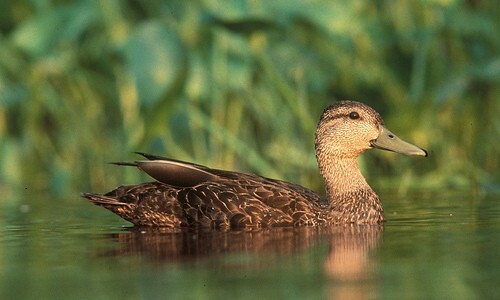 It visits the Chesapeake Bay region’s marshes and wetlands from spring through autumn. 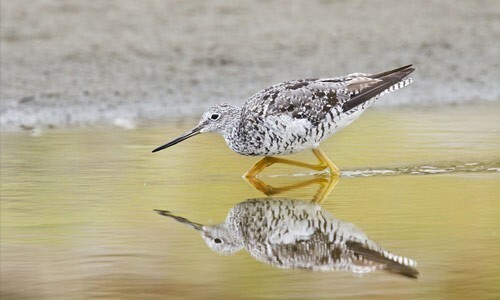 The greater yellowlegs is a slender shorebird with a long, upturned bill and distinctive yellow or orange legs. 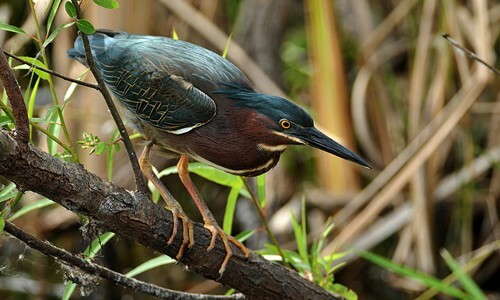 The green heron is a small, crow-like wading bird with a chestnut neck and grayish-green back. 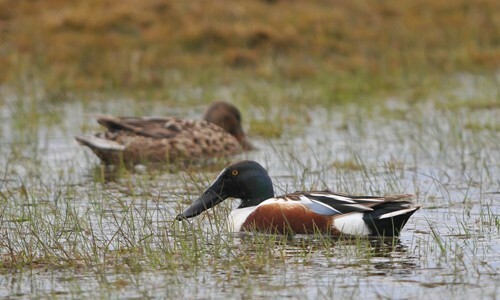 It visits the Chesapeake Bay region’s marshes and wetlands from spring through autumn. 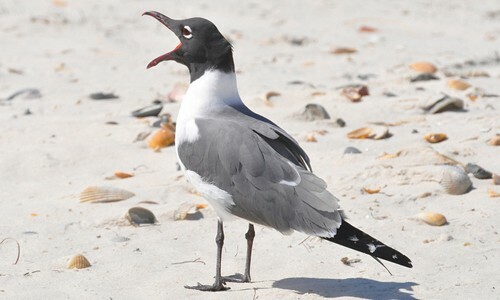 Laughing gulls are medium-sized gulls with white underparts and a gray back. 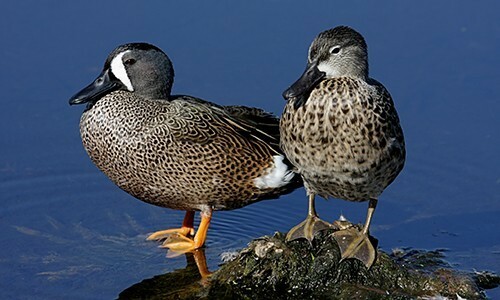 They visit the Chesapeake Bay in the summer to breed. 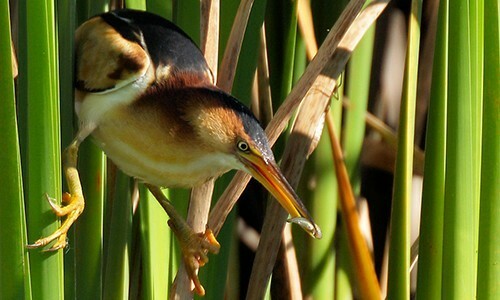 The least bittern, the smallest heron found in the Americas, lives in marshes among thick vegetation. 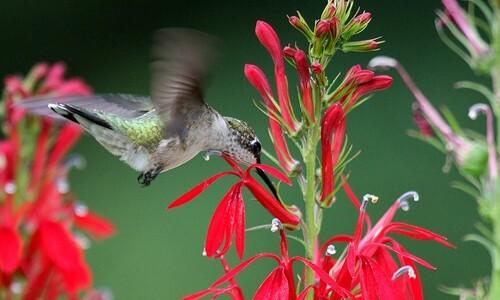 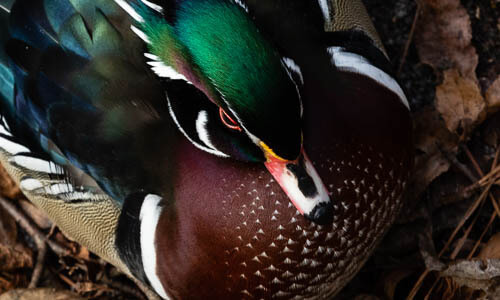 This bird visits the Chesapeake region in warmer months to breed and raise young. 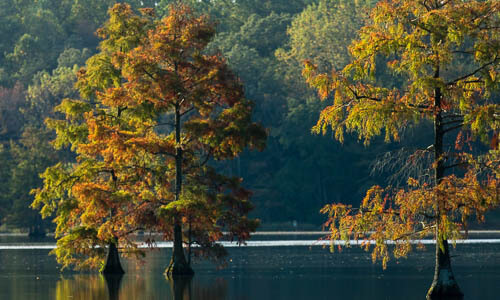 The loblolly pine is a tall evergreen tree with long, thin needles and scaly bark. 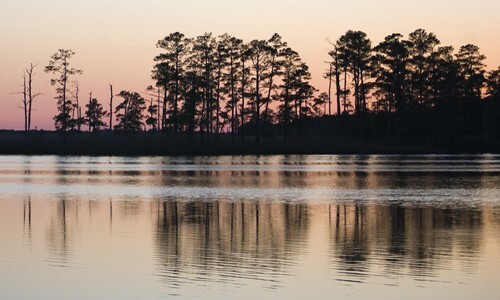 It grows along the edges of the Chesapeake Bay and its tidal rivers and wetlands. 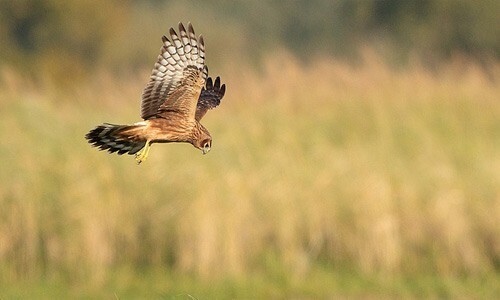 Also known as the hen harrier or marsh hawk, the northern harrier can be found in Chesapeake Bay marshes during winter, flying low to hunt for prey. 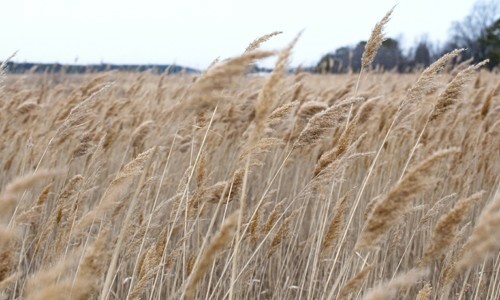 Phragmites is a non-native, invasive perennial plant that grows in wetlands and along roadsides and shorelines throughout the Chesapeake Bay watershed. 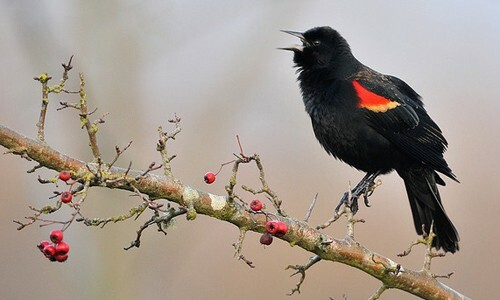 The red-winged blackbird is a black songbird with distinctive red and yellow shoulder patches. 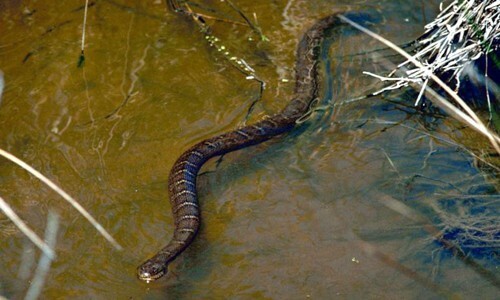 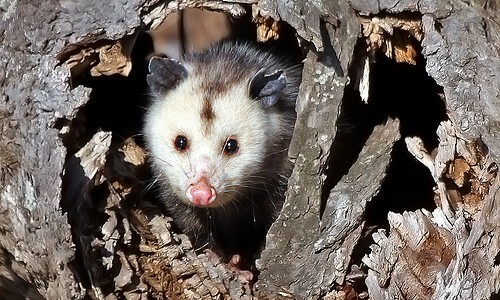 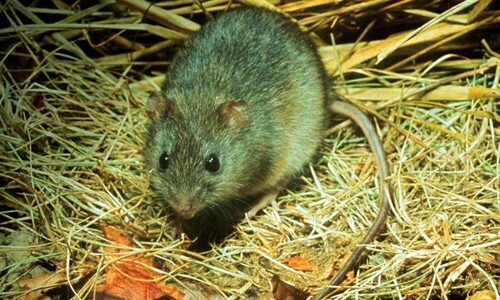 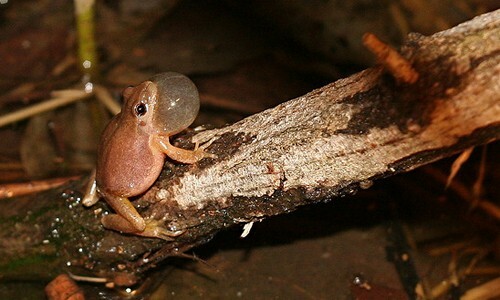 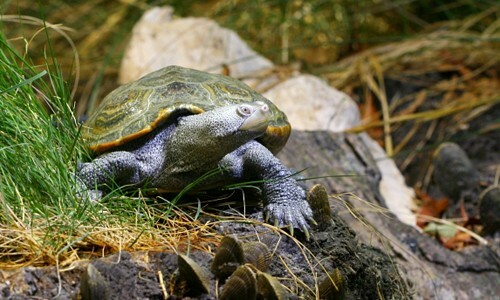 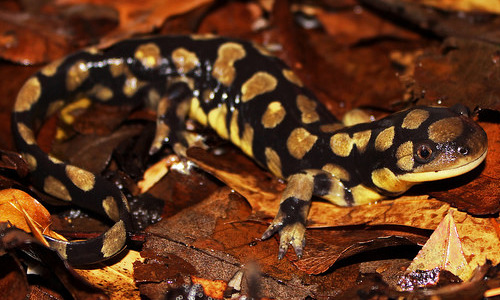 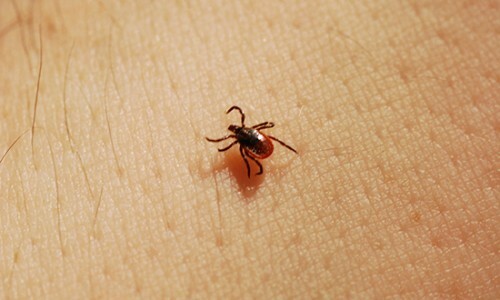 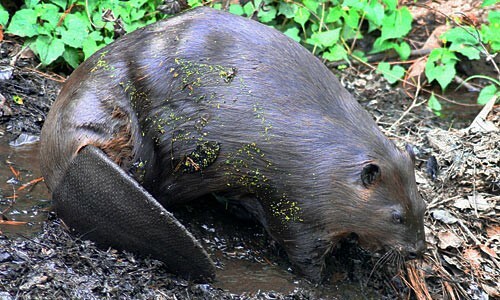 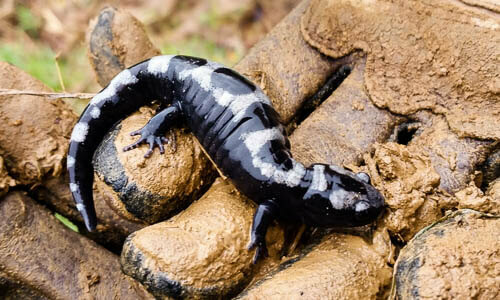 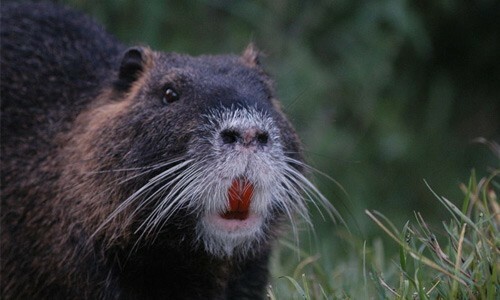 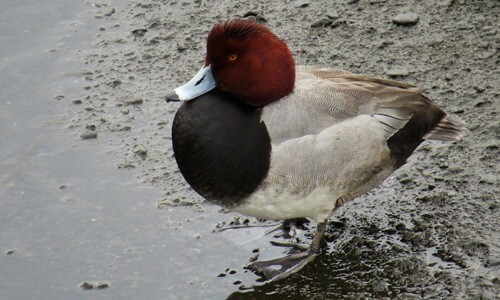 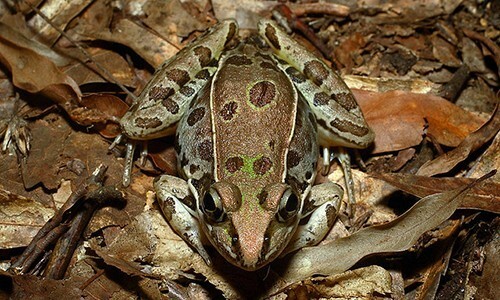 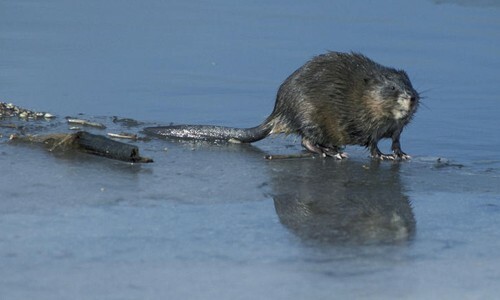 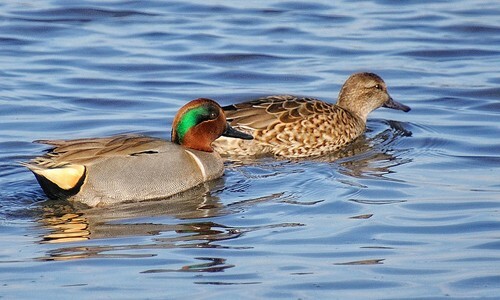 It lives in wetlands, marshes and open farm fields throughout the Chesapeake Bay region. 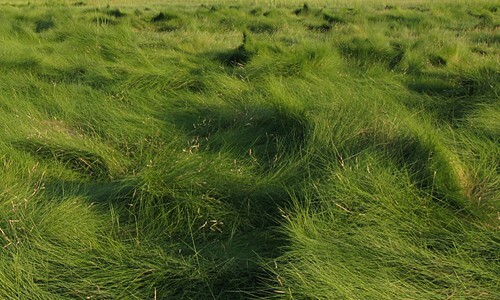 Saltmeadow cordgrass is a native perennial grass with wiry leaves that often form a whorled pattern. 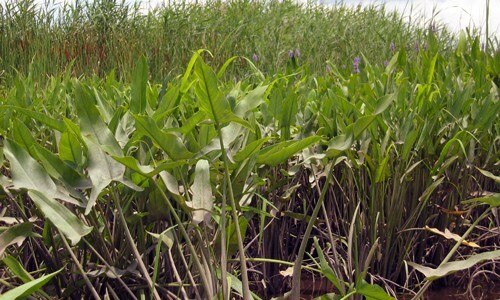 It grows in high, irregularly flooded areas of salt and brackish marshes along the Chesapeake Bay. 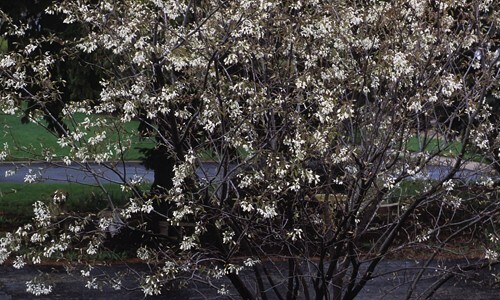 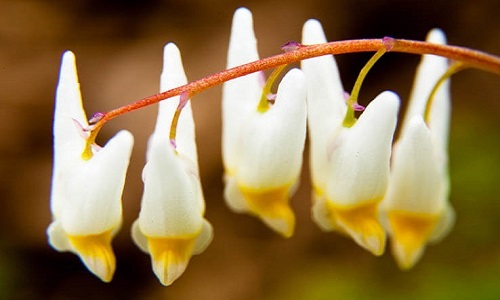 The shadbush is a small, deciduous tree with white flower clusters that bloom in early spring. 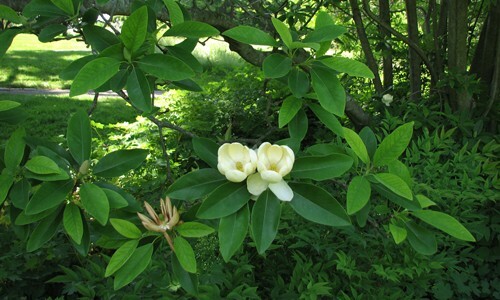 It grows in wet areas such as swamps and forested wetlands throughout the Chesapeake Bay watershed, mostly in the coastal plain. 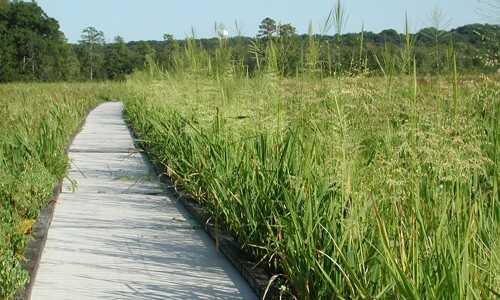 Smooth cordgrass is a native perennial grass with flat, blade-like leaves. 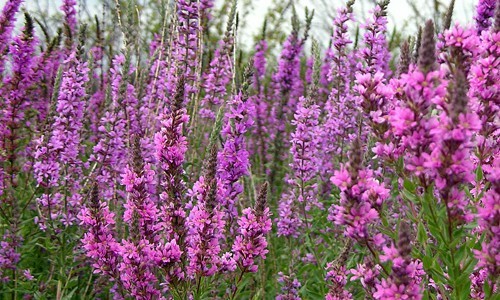 It grows in low-lying, salt and brackish tidal marshes along the shores of the middle and lower Chesapeake Bay. 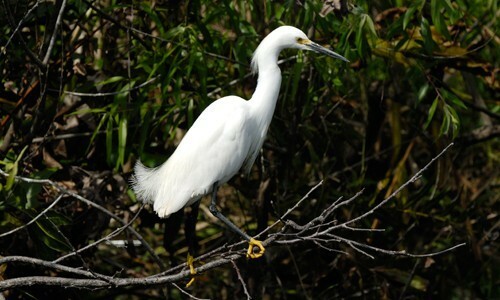 The snowy egret is a medium-sized white heron with a slender black bill and distinctive yellow feet. 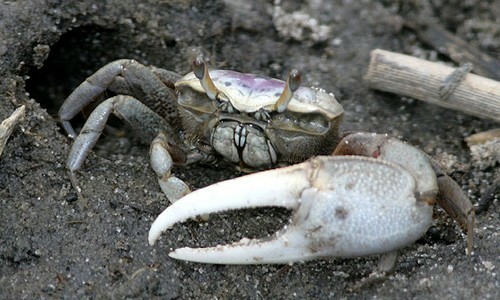 It visits the Chesapeake Bay’s marshes, wetlands and shallow waters from spring through autumn. 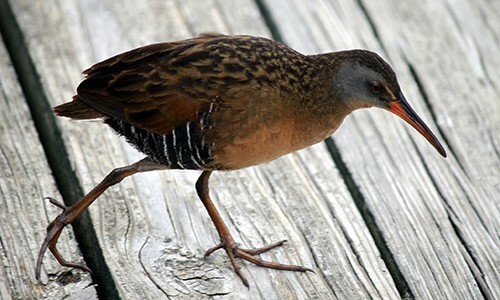 The Virginia rail is a small bird with a pig-like grunting call that can be found in the fresh and brackish marshes of the Chesapeake region year-round. 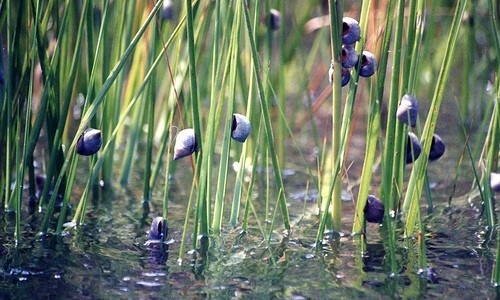 Wild rice is a native annual grass with feathery flowers on top of a tall, round stem. 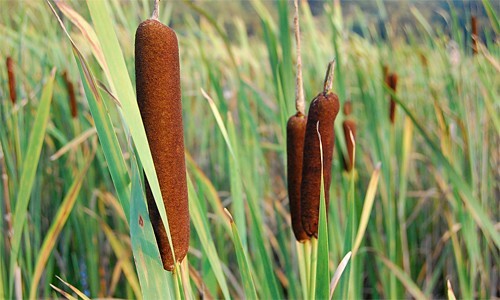 It grows in freshwater marshes throughout the Chesapeake Bay region. 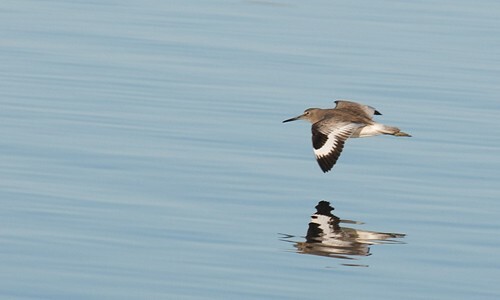 The willet is a large, grayish-brown sandpiper with a distinctive black and white wing pattern. 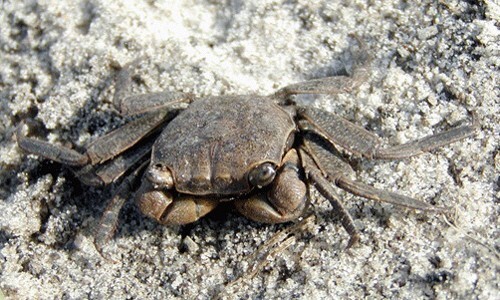 It lives in the Chesapeake Bay’s salt marshes and on tidal flats from spring through autumn.